If you really want to maintain your property, hiring a professional carpet cleaner should be one of your top priorities. Not only will you be able to ensure that your home is completely clean, it would also be free of harmful dirt and germs. Additionally, even though daily vacuuming can help you keep dust and dirt at bay, there is still some that are stuck in the fibers. This could cause allergies, and a number of health issues. Not just that let us not forget about the dirty paws of your pets–this could cause stains and discoloration on your carpet. Aside from that, here are some other reasons that should inspire you to hire a professional carpet cleaner. Professional carpet cleaners are heaven-sent, especially to busy individuals who still want to maintain their properties. They can conveniently schedule a carpet cleaning service, and have your carpet cleaned even when you are away. This would also allow you to stay out of your house while your carpet is drying. For those who have tried cleaning their carpets, they’d agree that it can be labor-intensive and could even take a full day to finish. about carpets, and it is actually more complicated than you probably imagined. First, you have to balance the amount of soap you are going to use for every liter of water. Keeping the carpet at proper moisture is also important, as it would prevent the growth of mold and mildew. Furthermore, only professionals have the right cleaning tools and equipment needed and they know how to use them properly and efficiently. Everybody wants a clean house and clean carpets. Property owners who lease their places to tenants must know that having clean carpets is essential when it comes to marketing rentals. 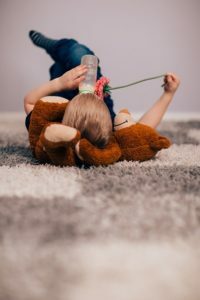 As much as possible, we all want to have a healthy and safe environment.However, it is also important that the carpet looks inviting and beautiful at the same time. This can be enjoyed with the help of a professional carpet cleaning service. They have the ability to remove stubborn stains, as well as the embedded dirt from the carpet. In most instances, after a professional carpet cleaning service, the carpets regain their original beauty and quality. This is possible because professionals make it a point to use a process that would extend the life of the carpet. Thus, the overall look is improved, and your house feels clean and fresh. Not only will it cost you a hefty amount of cash, carpet cleaning machinery requires a lot of storage space. Likewise, even if you rent a machine, you’ll still need to figure out how you’re going to transport it to your home. Most steam cleaners are bulky and heavy; they hardly fit in a car’s trunk. That is why it is always practical to hire a professional cleaner instead. With the help of carpet cleaning professionals, you will have the guarantee that you will be able to protect your fancy carpets against stains and accidents. There are cleaning agents that can be applied to shield the fibers against wear and tear, as well as stains and spills. However, since it’s a mixture of chemicals, only professionals are allowed to use this. Carpet warranties usually require the property owner to utilize routine, proper care to be valid. The schedule for deep cleaning is usually every 12-18 months. 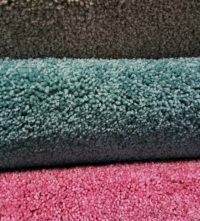 That is why it is advisable to check your carpet manufacturer’s warranty for specifics as you will be able to keep track of your scheduled cleanup. Plain and simple. Nothing is more comfortable than having clean carpet, and obviously, a clean house. Clean carpet smells fresh and this would make you feel great almost instantly. Not just that, the feel of walking on a clean carpet is wonderful. Although you can perform regular vacuuming, you still have to hire a professional if you want to maintain that feel. Rest assured that it would be worth the investment. Due to the fact that there are several types of carpet, hiring a professional carpet cleaner is highly recommended. These people know how to treat each type of carpet and they will use the appropriate solution to remove stains and dust that are stuck in between the fiber. Best of all, with the help of a professional you will be able to enjoy the benefits discussed above. Spokane Carpet Cleaning, Spokane WA, Spokane Residents, WA Residents: Have you ever wonder what these dark lines along your carpets are? 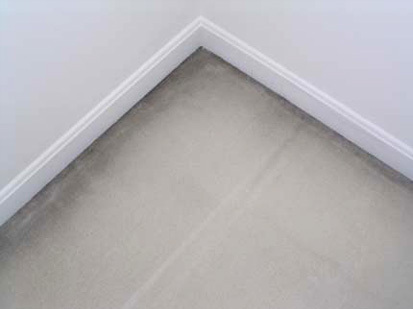 Dark lines along walls, stairs and under doors or draperies are called filtration soiling. Filtration soiling is associated with air pollution that infiltrates and ex filtrates through the cracks and small spaces.Filtration soiling is a specialty soil and may permanently alter the appearance of the carpet. This require the use of specialty spotting solutions and tools. Call your local carpet cleaning technician, JR carpet cleaning, to help you with this issue. Carpet Cleaning Spokane, Spokane WA, and Spokane Residents –Looking for a professional friendly Carpet cleaning technician. If you live in Spokane, Spokane WA, and are searching for a professional carpet cleaning service in Spokane, JR Professional Carpet Cleaning, offers the quality craftsmanship that creates loyal lifetime customers. We use the latest state-of-the-art hot water extraction, safe and biodegradable organic cleaning materials. We also use non-toxic cleaning to eliminate allergens from your house. Accident happen, such as spilling on the carpet. Make sure you act right away by blotting the spot with a rag. Put pressure and soak it until you absorb the liquid from your carpet. Also make sure you vacuum regularly your carpet can extend the life of your carpet as well as the health of your family. Carpet protectors won’t prevent your carpet from getting dirty. However, they do help your carpet stay cleaner longer. Carpet Protector maintain the quality and extend the life of your carpet. Carpet protector improves the release of dirt, dusts, spills moistures and oils from your carpet. Natural fibers originate from plants, animals and insects. They are not as common as synthetics fibers. Wool is an example of Natural Fiber. Wool has a high resiliency, which is an ability to spring back. Wool is flame resistant and it is a carpet of choice for many commercial applications. Another facts about Wool, is that it is very absorbent, soil resistant.